Antifa’s violence delegitimizes its views and helps its opponents. If the enemy of our enemy is supposed to be our friend, what happens when this friend becomes increasingly indistinguishable from the common adversary we seek to delegitimize? This was a question worth asking about the Antifa movement, short for “anti-fascist action,” months ago and is now a question that the Dartmouth community, particularly its faculty, seem to be conveniently neglecting. The infighting surrounding visiting lecturer Mark Bray’s public defense of Antifa and College President Phil Hanlon’s subsequent denunciation of those remarks has been about process. Should the College have waited to speak to Bray before making a public statement? Was it right that Hanlon publicly commented at all? Shouldn’t faculty members be able to speak their mind on topics they study, even if the positions they hold potentially damage the reputation of the College? These questions, while relevant, have distracted us from the efficacy and substance of Bray’s argument. And Bray’s substance is defective: His defense of the self-titled “anti-fascist” group tacitly endorses political violence and mischaracterizes the history of resistance movements through a series of ahistorical rationalizations. Bray, who recently released a book entitled “Antifa: The Anti-Fascist Handbook” and made waves for his support of Antifa on NBC’s “Meet the Press” and in a column for the Washington Post, acknowledged that Antifa differentiates itself from liberal, anti-racists by its “willingness to physically defend themselves and others from white supremacist violence” and its readiness to “preemptively shut down fascist organizing efforts before they turn deadly.” In this context, Bray essentially argues that the “ends” can always justify the “means,” just so long as the “ends” relate to the suppression of fascism, and that “fascism” is defined by Antifa and Antifa alone. Although the underpinnings of these beliefs must have been grounded in some sense of morality — opposing evil is obviously good — Bray’s defense of Antifa obfuscates the facts by insisting that the group acts only in collective self-defense and obscures history by suggesting that this group, in 2017, is congruous to people who opposed fascism during the rise of Adolf Hitler and Benito Mussolini. He also introduces an ethical slippery slope that is nearly impossible to reconcile and might embolden alt-right groups who otherwise would not have a leg upon which to stand. Bray’s term, “collective self-defense,” is a euphemism for preemptive violence. It is intellectually dishonest to imply that an unremitting pattern of violent conduct is somehow irreproachable, even if the targets of these combative attacks express abhorrent ideas. Antifa supporters attend rallies in militant uniforms and masks with clubs in hand precisely because the group knows that it is openly engaging in illegal behavior. Citizens should be willing to physically defend themselves from white supremacist violence; it is an entirely different matter to suggest that groups have the right to seek out and physically assault people with disgraceful views. Antifa has even gone a step further: It has thrown rocks, feces and urine at police officers, knocked out reporters and instigated fighting when its opponents have been congregating nonviolently. Although many on the far left have ignored this out of political expediency, the moral high ground belongs to those who behave in a manner society ought to emulate. Antifa does not meet this standard. But what if this more forceful, violent version of resistance could have stopped the rise of fascism in the 1920s and 1930s? Bray posits that Antifa’s militant tact is necessary, so as not to let fascism grow. But these tactics may actually do just the opposite; in “The Coming of the Third Reich,” Richard Evans acknowledged that armed violence from communists in the Weimar Republic fueled the polarization of public sentiment and vitalized the actions of fascists. Bray creates a false binary that suggests that anything that opposes fascism is inherently moral. Yet many Antifa members profess to be communists, a truth that is difficult to square with the fact that repressive, totalitarian communist regimes murdered millions of civilians all over the world during the same century that saw the rise of fascism. It is, of course, vitally important to protect this common good. Remnants of Nazism and white supremacy persist. Ugly fringe groups continue to occupy space closer and closer to the mainstream. And the stench emanating from the alt-right reeks. The sentiment is worth repeating: Anyone drawing moral equivalence between neo-Nazis and the counter-protesters at Charlottesville has engaged in cynical intellectual chicanery. That doesn’t make it any less devious to suggest that Antifa is this country’s new moral harbinger. It is immoral to club people to the ground. It is immoral to hurl bottles of urine at cops. Bray’s forwarded arguments, which absolve Antifa of these actions and openly pardon the use of violence, make it far more difficult to confront the bigotry and chauvinism that has once again taken hold in America. Protests and political activism are no strangers to Dartmouth — thank goodness. But if the student body were to heed the advice of Bray, who seems to fetishize and romanticize anarchism, the institution would be reduced to a state of fruitless chaos. The sane voices of resistance would be lost. Vile ideas would reign, just those from the other side. Jesse Heussner is a member of the Class of 2015. The Dartmouth welcomes guest columns. We request that guest columns be the original work of the submitter. 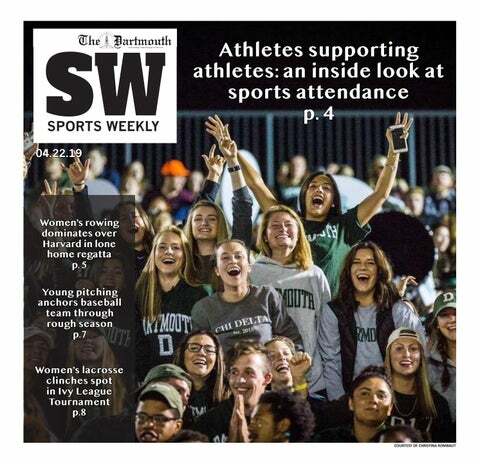 Submissions may be sent to both opinion@thedartmouth. com and editor@thedartmouth.com. Submissions will receive a response within three business days.